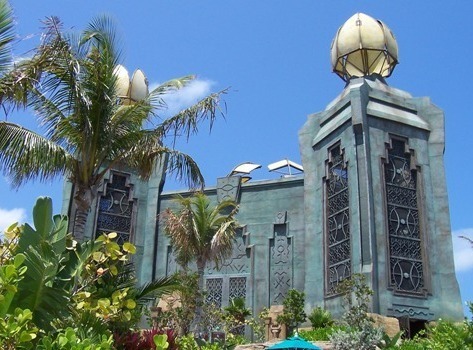 There's an Atlantis Aquaventure waterslide or inner tube ride for everyone. Whether you want to set your adrenaline rushing with the Leap of Faith or you just want to dangle in the Lazy River Ride, you'll find just what you're looking for. 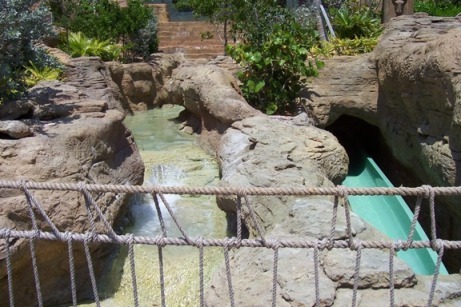 The height requirement for the adult water rides is 48 inches (about 122 cm). For those shorter than this, try the wild fun of Atlantis Splashers . It's worth checking out, and it's kids-only fun - adults are not allowed on the Splashers' slides! From the Current, you can get on line for the Power Tower waterslides without leaving your inner tube. However, remember one thing: at peak times, it's far less crowded to just take your tube and walk up the stairs than to wait for the conveyor up the Power Tower.